Share the Love: You're O So Special To Me - C.R.A.F.T. Today is the last day of the Share the Love series! Well minus the big round up of all of the cheesy, awesome Valentine goodness that is happening tomorrow. Today’s post is from my sweet blog friend, Katie, who has a little boy that is only days younger than Maxwell! 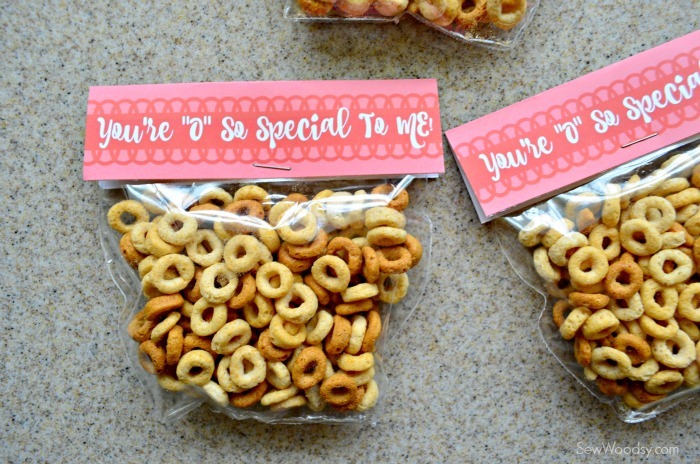 She’s sharing the perfect cheesy, Valentine saying for toddlers… You’re “O” So Special to Me partied with a bag full of Cheerios! Hi guys! I’m Katie and I blog at Sew Woodsy. We are a husband and wife DIY team! Today I’m so excited to share this cute toddler-friendly Valentine with you! My son eats Cheerio’s every morning, so I figured his friends would love receiving these too! And their parents would thank me for not loading their toddlers up with tons of chocolate and sweets. To download the “You’re O so special to me” free bag topper printable, just enter your name and email address below and the free file will be delivered to your inbox! 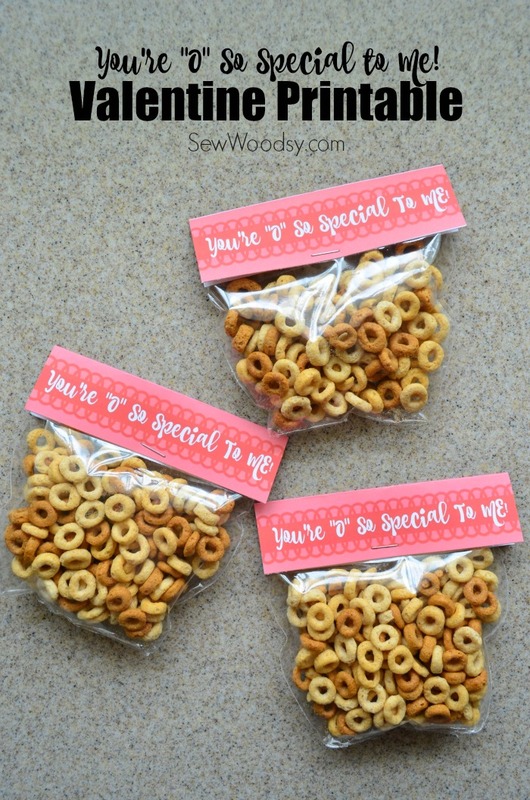 The Cheerio treat topper Valentines come 3 to a page, so you’ll need scissors to simply cut around each one. Pour a handful of Cheerios in a treat bag. Then fold the top of the treat bag a few times. Place the plastic folded bag in the middle of the treat bag tent. Staple once in the middle of the bag. Repeat until all of your Valentine’s are complete! I absolutely love how these turned out. I actually ended up trimming the sides down to fit these bags; however, they will fit larger treat bags too! When I trimmed it down it cut off the “to:” but that’s totally ok. Especially when your going to a play group and make extra and might not know everyone’s name and/or new people show up! I hope you love this printable as much as I do! Here are a few more cute Valentine’s Day printables you can find over at Sew Woodsy! Check out this post for 100+ more free printable Valentines!